Harry stood on the sand and looked down the wide, curved beach of Cloudy Bay. Everything was clean and golden and crisp, the sky almost violet with the winter light, and he wished that he wasn’t afraid. Or does he fear his father? Whatever it is, both he and Miles are looking for escape. Their elder brother Joe has moved out (escaping also), and their mother died in a car accident. Harry and Miles were in the car at the time but survived. The older Miles tries to piece together his memories of that night as the story unfolds. Their father is a tyrant with a secret. He is an abalone diver who takes Miles out as well as a couple of men from the town on his old boat. The bank owns the boat and he tries to make ends meet by fishing in protected waters and bringing in undersized abalone. But any little money he makes goes towards drink and the boys have to look after themselves. Joe and Miles go surfing in their spare time and Harry runs along the beach collecting things that they ask him to find, like cuttlefish bones and shark eggs. Harry doesn’t like the water. He is too young to go out on the boat with Miles and his father, and he gets sea-sick. He manages to look after himself while they are out fishing, forging a friendship with George, a man who has been scarred by a horrific accident and lives with his dog, Jake. It’s the dog who finds Harry one day on the road and Harry follows it home to George. George looks after Harry and tells him stories about his mother, a mother he struggles to remember. Parrett’s writing has been compared to Tim Winton and there are definitely similarities. There’s the coastal town setting, the broken characters, the sense of being trapped, the surfing scenes. The writing, too, is similar, albeit even more sparse than recent Winton—as befits the perspective of our child protagonists. It is lyrical. There is a wonderful layering as well, with the memories of the car accident threaded through their day-to-day struggles. The rise and fall of the ocean breathing … He lived for this, for these moments when everything stops except your heart beating and time bends and ripples – moves past your eyes frame by frame and you feel beyond time and before time and no one can touch you. There is a heart-rending counterpoint to this a moment later when Miles’s joy is stolen as Joe tells him he is leaving town on the yacht he made himself, sailing off to the South Pacific. Joe asks Miles to tell Harry because he couldn’t face telling him himself. Favel has said in a recent interview that the mentorship she obtained through the Australian Society of Authors was won on her third attempt. If this isn’t proof that persistence pays, I don’t know what is! To be mentioned in the same (dare I say) ‘breath’ as Winton was something I was wary of when I started reading. I thought it would be an unfair comparison – one of our best to a debut novelist. But whoever made the comparison had good reason. 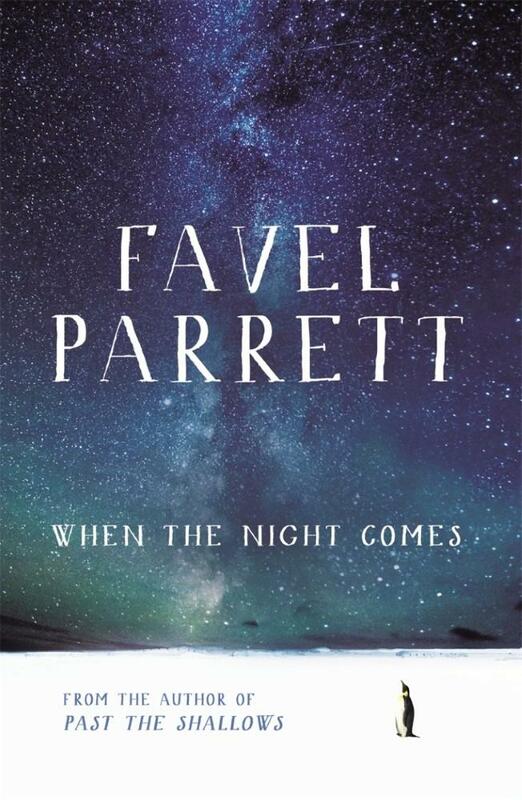 Perhaps one day there will be other debut Australian authors who are compared to Favel Parrett. It wouldn’t surprise me one bit. 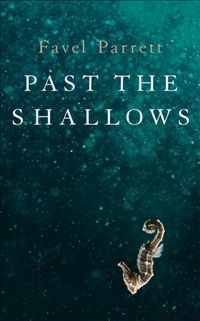 Past the Shallows is one of the books on review for August’s ‘First Tuesday Book Club’ on the ABC, along with a favourite classic of mine: Mikhail Bulgakov’s brilliant The Master and Margarita. I can’t wait to see what the panel have to say about each.